Contractors & Construction. Easy to Use. Lawyer Prepared. Contractors & Construction forms for use in a variety of construction-related situations. Forms include General Contractor Agreements, Subcontractor Agreements, Construction Agreements, Proposals and Work Orders. Waivers and Releases and a Mechanic's Lien are also included. Forms for use by contractors during the completion of a specific construction project. Agreements for the construction of a new home that set out all relevant terms including materials to be used and payments. Agreement setting out the specific terms of a project including the work to be performed, time for completion and payment. Change Order Form This Change Order Form is designed for use when changes are made to a contracting project. 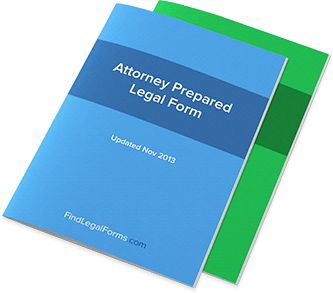 This form is for use in all states and available for immediate download. Subcontractor Services Agreements The Subcontractor Services Agreement can be used for a one-time project or for on-going services. General Contractor Combo Kit Get 9 forms for just $39.95. Save 76%! Save money by getting all of our general contractor forms together in one convenient packet. Waivers & Releases Combo Package Get 4 forms for just $39.95. Save 50%! Save money by purchasing the conditional and unconditional waivers and releases together in a convenient packet. For use in all states. One trick of being a first-timer is realizing just how intensive and necessary the construction forms can be. Construction forms such as the project contract can really make or break a good construction deal - even if you consider that the negotiation is usually done ahead of time. In this article, we’ll explore what you can expect to see in construction forms and what you should know about them before you ever decide to break ground. First, while all legal forms will tend to have some continuity with each other (for example, all leasing forms for an automobile dealership will generally look the same, with a few details filled in each time), a construction form can actually take a number of appearances. There are construction contracts, in which someone agrees to make payment for the construction that’s going to take place while the other party agrees to deliver on the services they promise to provide. There are also government documents and permits relating to construction that may require signing - in fact, it’s always best to check with local governments before any new construction project simply because you never know what kind of local regulations you might run into. This can make things a little confusing, but to clear things up try to understand that construction legal forms will tend to have the same type of “legalese” other forms might have. There will be the definition of the parties involved, there will be an outline of the specific numbers such as payments and scheduling, and finally the terms of the contract should take up a lot of space. The terms of a construction form can lay out exactly what is expected of both parties and then make provisions for any complications that might arise - for example, even if one party is based in another state, one provision of the contract might state that the contract will be regulated under a specific state’s law. Pay attention to these types of details and you should have no trouble figuring out what your specific construction form says. If you have any trouble, try looking up construction forms online to see what you can expect from these forms - or simply contact a lawyer and ask for their legal expertise. However, we’re hoping that after visiting this site and browsing through all the information and forms we have here that you won’t have any need for extra information! An inspector checks the safety of your potential new home. Home inspectors focus especially on the structure, construction, and mechanical systems of the house and will make you aware of all repairs that are needed. The inspector does not evaluate whether or not you’re getting good value for your money. Generally, an inspector checks (and gives prices for repairs on): the electrical system, plumbing and waste disposal, the water heater, insulation and ventilation, the heating and cooling system, water source and quality, the potential presence of pests, the foundation, doors, windows, ceilings, walls, floors, and roof. Be sure to hire a home inspector that is qualified and experienced. It’s a good idea to have an inspection before you sign a written offer since, once the deal is closed, you’ve bought the house “as is”. Or, you may want to include an inspection clause in the offer when negotiating for a home. An inspection clause gives you an “out” on buying the house if serious problems are found, or gives you the ability to renegotiate the purchase price if repairs are needed. An inspection clause can also specify that the seller must fix the problem(s) before you purchase the house. Following the inspection, the home inspector will be able to answer questions about the report and any problem areas. This is also an opportunity to hear an objective opinion on the home you’d like to purchase and it is a good time to ask general maintenance questions. If your home inspector discovers a serious problem, a more specific and detailed inspection may be recommended. It’s a good idea to consider having your home inspected for the presence of a variety of health-related risks like radon gas, asbestos, or possible problems with the water or waste disposal system. You may also consider obtaining a home warranty policy. Home warranties offer you protection for a specific period of time (e.g., one year) against potentially costly problems, like unexpected repairs on appliances or home systems, which are not covered by homeowner’s insurance. Warranties are becoming more popular because they offer protection during the time immediately following the purchase of a home, a time when many people find themselves cash-strapped.